Offering easy maintenance, sound absorption, warmth, and comfort underfoot, cork is a smart, eco-friendly flooring choice for many of today's homeowners. Is it the right choice for you? Find out here. Lisbon’s Tobacco Road Cork Flooring at Lumber Liquidators. In our ongoing quest to make our homes beautiful reflections of who we are, the question of what to install underfoot is an important one. For some people, gleaming oak is the answer; for others, salvaged pine planks or Mediterranean-style tiles. In recent years, cork flooring has become yet another popular option. 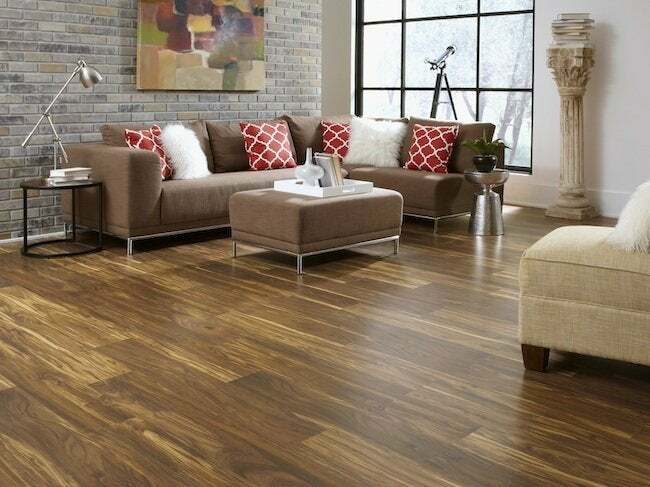 “There are natural benefits of cork flooring, including easy maintenance, sound absorption, warmth, and comfort,” says Ebony Costain, a buyer at Lumber Liquidators. “What consumers may find most surprising, however, are the attractive varieties that have been brought to market.” Cutting-edge technology has allowed manufacturers to offer flooring with the amazing look of hardwood or marble, while keeping all the benefits of cork. To determine if cork is a good choice for your floor, consider how well the following statements apply to you. You have cold feet—literally. If you usually wear socks or slippers around the house to avoid cold floors under your feet, you’ll appreciate cork’s ability to stay at room temperature and therefore feel warm to the touch. Like a cushion underfoot, cork flooring also eases stress on your back and legs, making it a good fit for any place in your home where you’ll be standing for long stretches of time, like kitchens, laundry rooms, and workshops. Lisbon’s Silves Cork Flooring at Lumber Liquidators. You have an artistic eye. Cork flooring comes in a wide array of colors and grain patterns, so the design possibilities are limitless. Just about any floor motif that can be made with paint or ceramic tile—think checkerboards, stripes, or chevrons—can be made with cork. Let your imagination soar! Some owners even play with the pattern of the cork itself to create a design that mimics exotic wood grains like tiger maple, or the stone striations of marble or granite. Whatever style you choose, you’ll enjoy the surprised expressions when guests first step into a room. You have a sensitive ear. Cork’s acoustic properties make it a sensible choice for any home in which echoing presents a problem—in pared-down interiors with few carpets and curtains, for example, or in apartment buildings where downstairs neighbors tend to call at the slightest footfall. The pitter-patter of tiny feet becomes a bit less thundering with a layer of cork, while the material’s pliancy would be an added benefit should any tot happen to stumble. Music rooms, too, are logical places for cork floors to mute the reverberations of instruments. You strive to be green. Most trees would quickly perish if their bark were removed. By contrast, cork trees—native to Spain and Portugal—have a type of bark that regenerates after harvesting and can be trimmed again in nine years’ time. Cork floor tiles are made from the remnants of cork wine-stopper manufacturing and are a truly sustainable option for homeowners in search of eco-friendly materials. You have a high-traffic household. Forget “high-traffic area” —your whole house is in constant motion with kids, pets, and projects in flux. Cork’s durability makes it a natural choice in such settings and explains its frequent use in public buildings that have a steady stream of visitors, like libraries and museums. Small dents in cork flooring fill themselves in again and shallow scratches visually blend into the overall pattern, unlike marring on wood floors, which is typically easy to see and a hassle to refinish. You crave easy maintenance. As it does with small scratches, the highly textural pattern of cork helps mask light stains and marks. Sweeping and occasional mopping with a damp cloth are all that’s needed to keep cork floors looking their best. That said, putting felt pads on furniture feet—just as you would with hardwood flooring—can help extend the life of cork tiles. You’re budget-conscious. At about $3 to $8 per square foot, cork is comparable in price to other flooring options such as hardwood, carpeting, or tile. 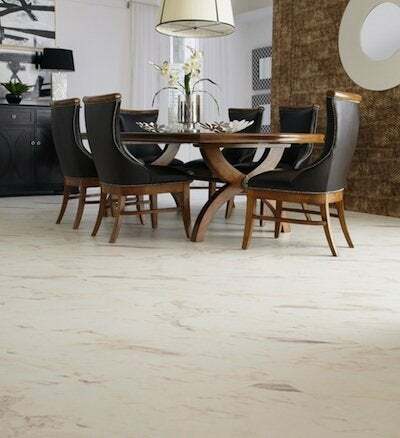 Whether you choose cork tiles that are positioned with an adhesive or those that feature a tongue-and-groove system, installation is easy for most do-it-yourselfers, which helps to keep costs low. And once the floor is in place, cork’s thermal properties maintain room temperature even in cold weather, which can alleviate your heating costs in winter. 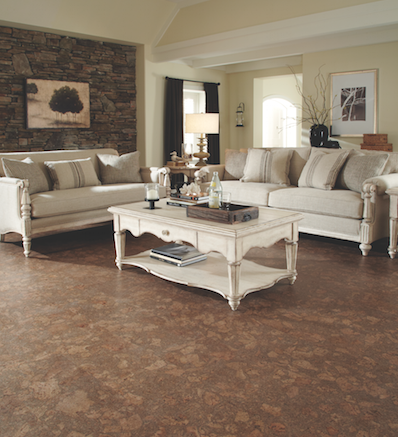 All in all, if you’re thinking about putting in a new floor, cork is an option worth considering.